Using professional lighting we recreated the dark and frightening feel of the movie. 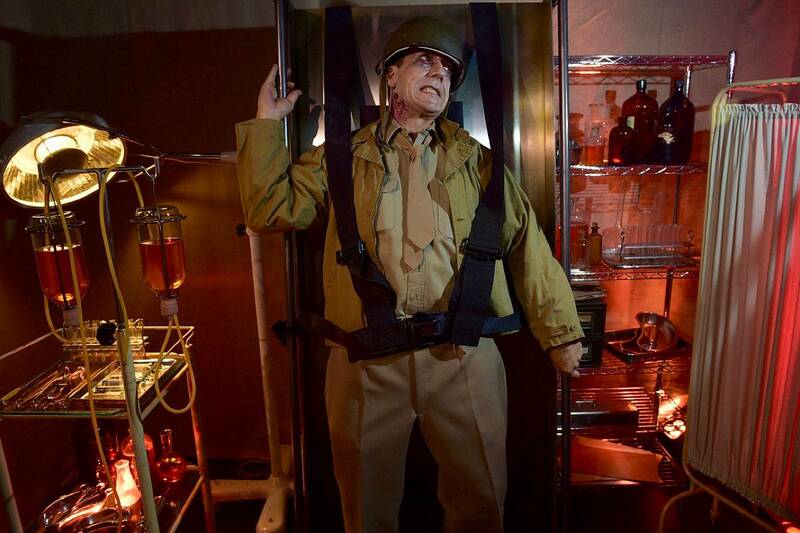 Guests were strapped into a medical gurney in a set made with props from the movie and we took a professional photograph which was instantly printed. Guests were also allowed to share the image to themselves via our instant social media sharing app, just by entering their mobile number. Here's a sample with one of our photographers in full make up! Our completely mobile photography studio is all wireless and even our lighting is radio controlled. We bring our own WiFi for sharing and our own Photo lab for instant printing. It tool longer for us to have our makeup applied than it did for us to setup and be ready to go. 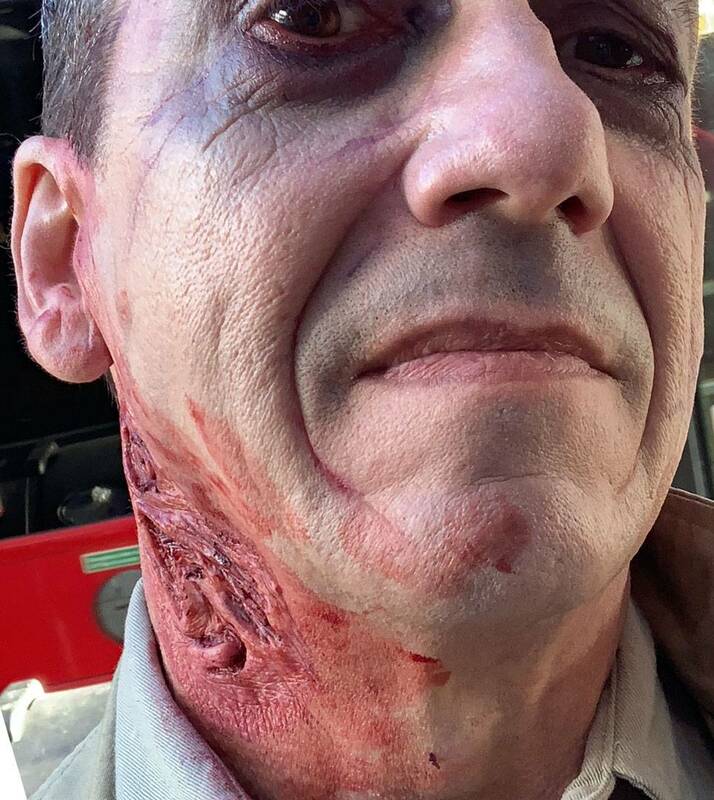 Here's a shot of the makeup we wore, just as an example of the level of detail that goes into an event like this. We could have recreated the scene with a green screen and just the Gurney, but sometimes we need to get the visuals just right. We are equally at ease working with pre printed backdrops, full movie sets or green screens. We do whatever is needed to make the client happy, and have great fun with the guests whilst remaining professional and focussed throughout. This was a very busy session as we only have a limited time with guests before they go into the screening. But we got them all through as usual and they loved what we did. Here's a shot showing how we shoot wirelessly.